All the time we hear about making things pretty. We also still hear a lot of complaints. This time, I want to approach the problem from a different perspective. Instead of talking about user interface design, I want to talk about user experience design. This isn't about how websites look, it's about how websites work. In this case, not an overview of this article, but rather, how to think about the overview of a user interface. A good user experience is action-oriented. Ask yourself, "what does the user want to do?". If, for example, the answer is "write something", that task should take center stage. You should also ask, "what does the user want to avoid". In the case of writing something, that is most often "distraction". 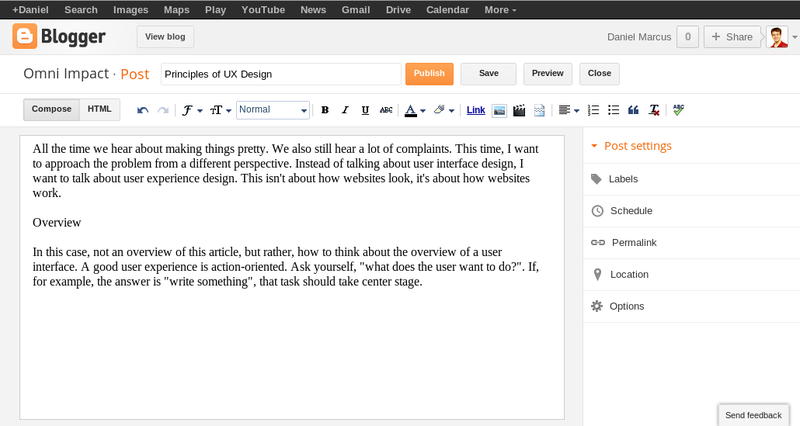 Blogger and WordPress are two very polished user interfaces for writing, but I've never been too fond of WordPress's user experience. 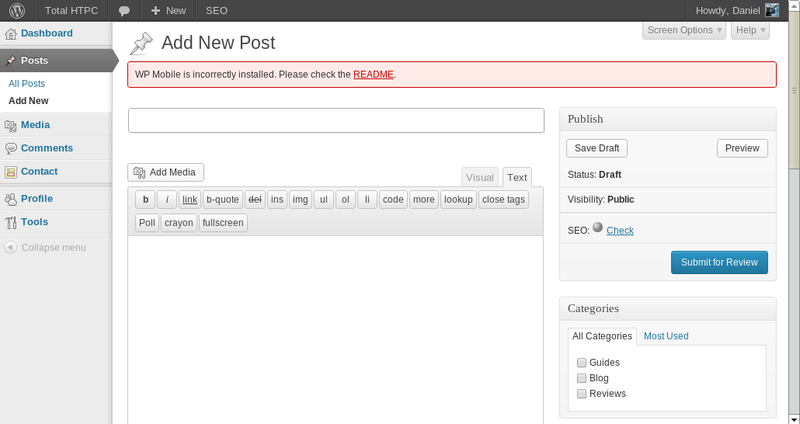 Blogger is a Google product, so it retains the Google branding bar. WordPress provides something similar, but unlike Google, it is only one product, so why is it there? Google hides the left hand navigation, giving a wider area for writing, and places formatting buttons outside the writing area. Post settings are neatly organized in both, but Google hides them in an understated expandable menu. Even the icons gray, and each is formatted cleanly and consistently. I have no trouble blocking those blocks out when writing. WordPress mixes gradients, different control types, boxes, and a nice big blue button right next to where I'm writing. It's not terrible, but more distracting than the Blogger experience. Finally, I have to criticize the big pink dialog telling me a plugin is incorrectly installed. First of all, there's probably a good reason why the plugin is set up like it is, second, I'm not a user who has the required access to fix it, and third, even if I did, why do I care about it at all when I'm writing a new blog article? A simple, focused, and task-oriented UI will lead to the best user experience. Back to the idea of an overview, this means that a cursory glance over a page should immediately answer those same two questions for the user. If a user wonders "what am I expected to do here?" they should immediately be able to identify what it is, and a lack of distractions should keep them from adding "and I can do that here too..." to their answer. Whether or not, and how to confirm performing an action with a user is always a question to ask. Often, that comes down to whether or not the action is able to be undone. Even a delete, if not permanent, is not something that you need to confirm. Almost all the time, a user means to do what they are indicating, and asking every time is just an annoyance. If you must confirm each action, make it as easy as possible for the user. 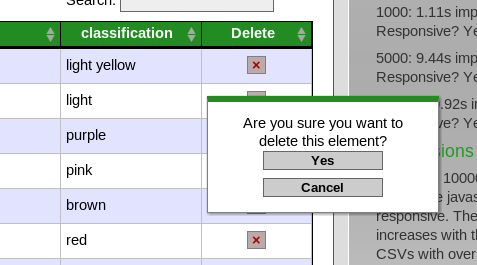 One way I have done this is to pop up a small dialog with large buttons directly under the cursor. In this way, the target to confirm is easy to hit, and doesn't require a lot of mouse movement. Another way to approach the problem is to simply make it difficult for the user to make a mistake. When managing users, there are various actions that can be performed per account. I use a UX that makes it a simple and consistent two-step process. First, the administrator selects the account they wish to perform the action on. The account is highlighted, making it easy to see what account is selected. The buttons to edit and delete are large, separated, and easy to differentiate. Deleting is a simple and quick process, but it still requires two clicks. Whether a design decision falls more in user interface or user experience is a fine line, and almost everything falls at least partially in both categories. There are many other aspects of the user experience to consider, and design is certainly something that plays a part. That said, pure user experience doesn't need to look pretty, it needs to be functional, and is a much more fundamental part of user interface creation than the design elements. As important as design is, I encourage you to always consider UX first, and then make it look nicer. Your users will appreciate it.